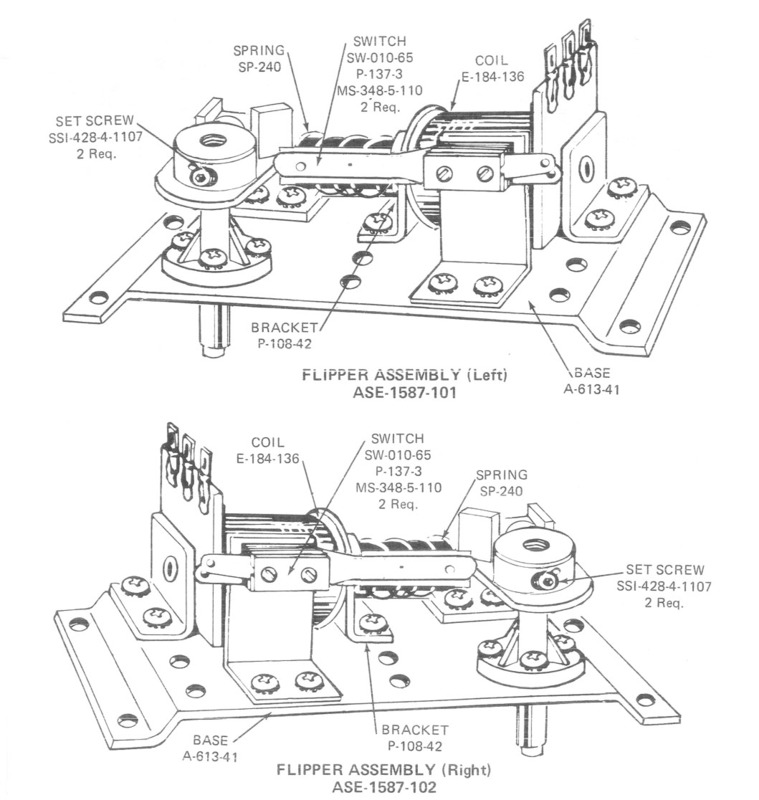 Right side flipper crank and pawl, as used on Bally late electro-mechanical (EM) and early solid-state (SS) games from May 1975 (Hi-Deal) through Apr. 1980 (Space Invaders). Also used for some non-flipper devices on later Bally/Midway games (replaces Midway part # A370-00073-00XF). Includes new set screws for securing flipper bat/shaft, and insulator on pawl for EOS switch. Use with A-3714-3 plunger/link, and our flipper rebuild kit # FLKIT7. IMPORTANT NOTE: IMPORTANT NOTE: Our stock on this item occasionally varies between aftermarket replacement pieces and new original (NOS) parts, depending on market availability. Please be aware that aftermarket pieces have a slightly larger-diameter stud that fits through the bakelite link on the A-3714-3 plunger/link. 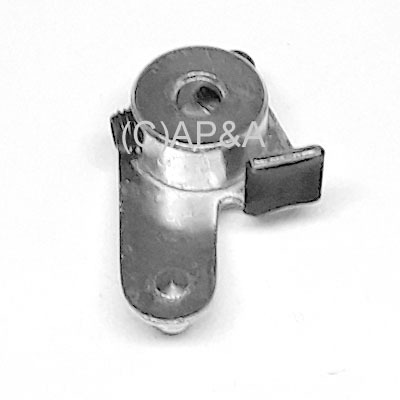 If using this aftermarket part with a new plunger/link (# A-3714-3), then the large hole in the bakelite link will have to be drilled-out larger to 9/32-inch diameter to accomodate the larger stud on the new aftermarket replacement crank.